Voici un article d’Ann Yerger, directrice du Center for Board Matters, de la firme Ernst & Young, qui porte sur l’évolution significative des politiques de divulgation des comités d’audit aux actionnaires des entreprises cotées en bourse aux États-Unis en 2106. L’article est paru sur le site du Harvard Law School Forum on Corporate Governance le 9 octobre. L’étendue des divulgations aux actionnaires est vraiment très importante dans certains cas. Par exemple, en 2012, seulement 42 % des entreprises dévoilaient explicitement que le comité d’audit était responsable de l’engagement, de la rémunération et de la surveillance des auditeurs externes, alors qu’en 2016, 82 % divulguent, souvent en détail, les informations de cette nature. Plusieurs autres résultats font état de changements remarquables dans la reddition de compte des comités d’audit aux actionnaires des entreprises. Ceux-ci sont maintenant plus en mesure d’évaluer la portée des décisions des comités d’audit eu égard à la qualité du travail des auditeurs externes, aux raisons invoquées pour changer d’auditeur externe, à la fixation du mandat de l’auditeur externe, à la composition du comité d’audit, à l’augmentation des honoraires des firmes comptables dans les quatre catégories suivantes : audit, relié aux travaux d’audit, fiscalité et autres services connexes, etc. Audit committees have a key role in overseeing the integrity of financial reporting. Nevertheless, relatively little information is required to be disclosed by US public companies about the audit committee’s important work. Since our first publication in this series in 2012, we have described efforts by investors, regulators and other stakeholders to seek increased audit­-related disclosures, as well as the resulting voluntary disclosures to respond to this interest. Over 2015–2016, US regulators have placed a spotlight on audit-related disclosures and financial reporting more generally. The US Securities and Exchange Commission (SEC) and the US Public Company Accounting Oversight Board (PCAOB) have both taken action to consider the possibility of requiring new disclosures relating to the audit. SEC representatives also have used speeches to urge companies and audit committees to increase disclosures in this area voluntarily. While additional disclosure requirements for audit committees are not expected in the near term, regulators continue to monitor developments in this area. This post seeks to shed light on the evolving audit­-related disclosure landscape. Public company audit committees are responsible for overseeing financial reporting, including the external audit. 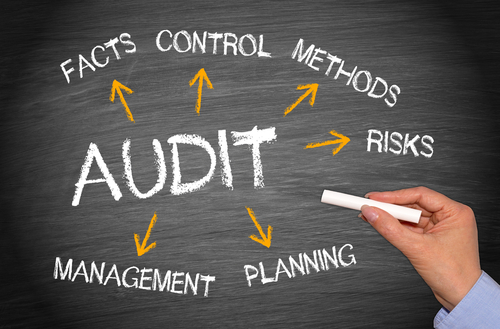 Under US securities laws, audit committees are “directly responsible for the appointment, compensation, retention and oversight” of the external auditor, and must include a report in annual proxy statements about their work. This audit committee report, however, currently must affirm only that the committee carried out certain specific responsibilities related to communications with the external auditor, and this requirement has not changed since 1999. In recent years, a variety of groups have brought attention to the relative lack of information available about the audit committee and the audit, including their view that this area of disclosure may not have kept up with the needs of investors and other proxy statement users. These groups include pension funds, asset managers, investors, corporate governance groups, and domestic and foreign regulators. As efforts to seek additional information have continued, there has been a steady increase in voluntary audit-related disclosures. Over the last year, the SEC has taken a series of actions to consider whether and how to improve transparency around audit committees, audits and financial reporting more generally. The combined effect of these activities has been to increase engagement by issuers, audit firms, investors and other stakeholders in discussions about the current state of financial reporting­ related disclosure as well as how it should change. The percentage of companies that disclosed factors considered by the audit committee when assessing the qualifications and work quality of the external auditor increased to 50%, up from 42% in 2015. In 2012, only 17% of audit committees disclosed this information. Another significant increase was in disclosures stating that the audit committee believed that the choice of external auditor was in the best interests of the company and/or the shareholders. In 2016, 73% of companies disclosed such information; in 2015, this percentage was 63%. In 2012, only 3% of companies made this disclosure. The audit committees of 82% of the companies explicitly stated that they are responsible for the appointment, compensation and oversight of the external auditor; in 2012, only 42% of audit committees provided such disclosures. 31% of companies provided information about the reasons for changes in fees paid to the external auditor compared to 21% the previous year. Reasons provided in these disclosures include one­-time events, such as a merger or acquisition. Under current SEC rules, companies are required to disclose fees paid to the external auditor, divided into the following categories: audit, audit-related, tax and all other fees. They are not, however, required to discuss the reasons why these fees have increased or decreased. From 2012 to 2016, the percentage of companies disclosing information to explain changes in audit fees rose from 9% to 31%. Additional CBM research examined the disclosures of the subset of studied companies (43) that had changes in audit fees of +/-­ 5% or more compared to the previous year. Out of these 43 companies, roughly 20% provided explanatory disclosures regarding the change in audit fees. 29 of the 43 companies had fee increases of 5% or more, out of which 8 companies disclosed the reasons for the increases. 14 of the 43 companies had fee decreases of 5% or more, out of which only one company provided an explanatory disclosure. 53% of companies disclosed that the audit committee considered the impact of changing auditors when assessing whether to retain the current auditor. This was a 6 percentage point increase over 2015. In 2012, this disclosure was made by 3% of the Fortune 100 companies. Over the past five years, the number of companies disclosing that the audit committee was involved in the selection of the lead audit partner has grown dramatically, up to 73% in 2016. In 2015, 67% of companies disclosed this information, while in 2012, only 1% of companies did so. 51% of companies disclosed that they have three or more financial experts on their audit committees, up from 47% in 2015 and 36% in 2012. « Une culture empreinte de corruption mène habituellement à de sérieux manquements organisationnels !